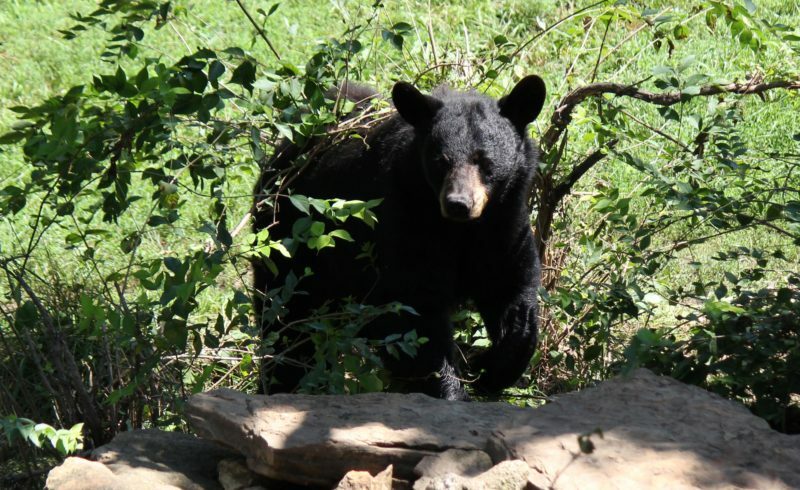 Home » Latest Posts » Do Bears Really Hibernate? If someone were to ask you to name an animal that hibernates, you’d probably say “a bear.” But for many years, some people did not consider them true hibernators. When animals such as chipmunks and ground squirrels hibernate, their body temperatures drop drastically. A bear’s body temperatures does not decrease nearly as much. And, unlike these other mammals, a bear can easily wake up from its winter sleep. However, today many scientists consider bears to not only be hibernators, but super-hibernators! Bears are better prepared to stay warm during the winter months then their forest neighbors. Their fur is much thicker, providing more insulation. And because their surface are to mass ratio is much less than smaller hibernators, their body heat is lost much more slowly. Because bears don’t lose much body heat, they can cut their metabolic rate by 50 – 60 percent during hibernation. Normally, a bear’s heart beats 40 to 50 times per minute. While it hibernates, however, it can drop to just 8 beats per minute. A bear’s respiratory rate drops as well. Instead of the normal 6-10 breaths per minute, they take one breath every 45 seconds. During hibernation, the bear’s body temperature also becomes lower. However, although the temperatures of most hibernating mammals decreases to around 40°F (4.4°C), a bear’s temperature remains much higher. Most of the year, a bear’s body temperature is approximately 100°–101°F (37.7°–38.3°C). But during hibernation, this decreases to only about 88°F (31°C). Because bears don’t get so cold, they don’t have to warm up before they can move quickly. This helps them react to danger much faster. There’s another benefit to have a higher body temperature: sleep! Mammals that experience lower body temperatures during hibernation must wake up every few days to raise their body temperature and move around. They also need to eat and eliminate waste. Bears, however, generally do not eat, drink, or eliminate waste during hibernation. They do not have to wake up at all until spring. allows the bear to maintain its muscle mass and organ tissues, even though they may lose 15-30 percent of their body weight during hibernation. Bears truly are nature’s super-hibernators! “5 Stages of Activity and Hibernation.” North American Bear Center. “About Black Bears.” Mass Audubon. “Bear Hibernation and Reemergence in Yellowstone.” Yellowstone National Park. “Denning and Hibernation Behavior.” Yellowstone National Park.